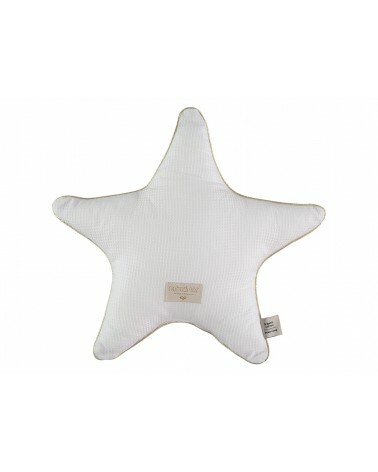 Aristote star cushion white. Rest like a star with Aristote star cushion! Gold details to twinkle your dreams. Star shaped cushion with gold details. Honeycomb fabric combined with soft cotton in vibrant colors. Original texture with honeycomb fabric. Washing instructions: Hand wash cold, do not bleach, do not soak, do not scrub, wring dry, do not spin dry, do not iron. 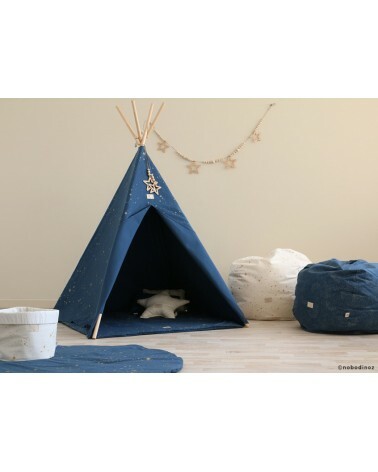 Certificates: GOTS certified organic cotton - OEKO - TEX CLASS 1 certified fabrics. Safe for baby's skin, good for the planet.  By submitting this form I accept that my data will be used to send me a newsletter.